Say you’re on a SoCal beach on a fiery afternoon and find yourself craving some suds with your mahimahi tacos. Odds are that you don’t order a hoppy pale ale. You probably get what everyone else is drinking: something light, frisky, and made in Mexico. For such moments, San Diego‘s seafood-heavy Beerfish restaurant could have stocked Tecate, but instead owner Abel Kaase wanted to fly a flag for craft brewers. His solution? SouthNorte Beer Co.’s Sea Señor, a new release made in town by brewer Ryan Brooks, who got hooked on Mexican beer when he was in a metal band and playing shows in Tijuana. Mexico-inspired lager isn’t just a San Diego thing. In the past few years, breweries from Northern California to Utah to Colorado have turned their thoughts toward our southern neighbor. 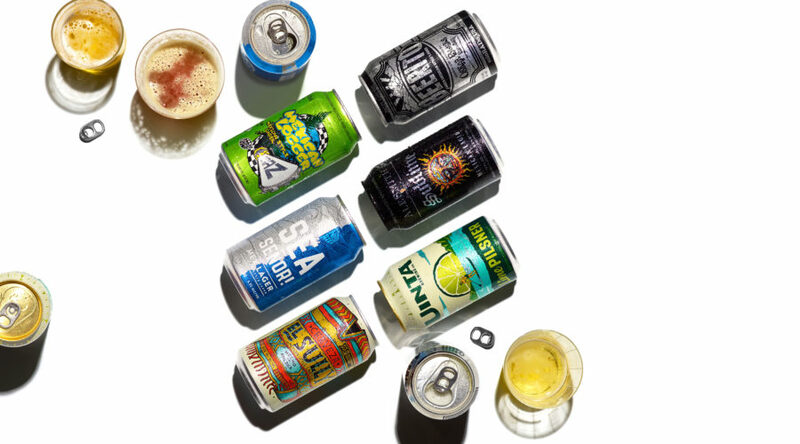 Often, that means fresh takes on the pilsner-style quenchers that are more reliably clean and dry than their macro counterparts up north–the Millers and Budweisers of the world. The question is, though: Why buy a more expensive play on what’s meant to be cheap, easy refreshment? Well, those commercial standbys are defined by massive tanks, hefty doses of corn or corn syrup to stretch the more expensive barley malt, and neutral hop aromas not likely to offend (or entice) anyone. These craft brews, on the other hand, are based on quality barley malt and often just a touch of flaked corn to keep them light on their feet. Classic aromatic hop varieties give them scents of fruits, flowers, and herbs instead of–let’s be honest–the usual not much at all. And because they’re made with hands-on attention, they have more personality than their mainstream competition, matching drinkability with depth of flavor. Incidentally, you won’t find many craft lagers in Mexico. These days, beer geeks down there are hooked on delicious homegrown versions of our intense, resinous West Coast IPA style. Turnabout, as they say, is fair play. Created in 1999, this early craft stab at the Mexican lager remains one of the best. It’s superfresh without feeling thin, sporting bright hints of green grass and flowers. Pop it with everything from oysters to carnitas tacos–just skip the lime. If you’re looking for light, breezy, and utterly crushable, this is your beer. Its subtle, clean grain and citrus tones put most macrobrews to shame, but it won’t freak out those weaned on Modelo. Judiciously dosed with flaked maize (20 percent of the grain bill), this smells like a lightly toasted tortilla. It’s creamy and full-bodied, with a well-calibrated tingle of hop bitterness at the end that will cut through tender grilled pork. Light pilsner-style lagers dominate Mexican brewing, but there’s an undercurrent of darker beers too–think Dos Equis Amber and Modelo Negra. This follows that path, its Colorado-sourced malts delivering deep flavors of maple and mole that will shine if the evening sea breezes turn cool. When the SoCal band Sublime teamed up with San Diego’s AleSmith to celebrate the 25th anniversary of the album 40 oz. to Freedom, they decided to riff on the Mexican-style amber. This smells like caramel and toasted nuts, but it’s more malty and suave than sweet. Yes, there are now even some plays on Corona with lime. This one comes from the shores of the Great Salt Lake, and while there’s nothing complex about it, its burst of lime zest will feel mighty refreshing after a hike up a desert arroyo.